"She is great and caring. She addressed everything and gave excellent recommendations." "Always a pleasure to see Dr. Zamanian. She is very through. Thank you for your help." "As usual Dr. Zamanian addressed my many concerns extremely well and thoroughly." "Dr. Zamanian is EXCELLENT in every sense of the word ... could NOT be happier!" "I am grateful and appreciate her and her staff." Dr. Zamanian is EXCELLENT in every sense of the word ... could NOT be happier! She answered all my concerns. I would very definitely recommend her. She is a great doctor. She listens to you very carefully and follows up. 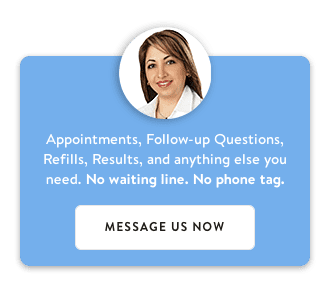 Dr. Maryam Zamanian is your source for a passionate and experienced Endocrinologist and Diabetes Specialist in Plano, TX and Dallas, TX. Dr. Zamanian earned her medical degree from the University of Texas Southwestern Medical School in Dallas, Texas. She completed her internal medicine training at Presbyterian Hospital of Dallas and her Endocrinology training at University of Texas Southwestern Medical Center. Shortly after her residency training, she engaged in private practice of internal medicine at Presbyterian Hospital of Dallas for a few years before pursuing a fellowship in Endocrinology. As a Diabetes Specialist, Dr. Zamanian uses her training, experience, and latest research information to ensure your diabetes is under control. Your doctor recommends you have an evaluation with a specialist. Your primary care physician has not treated many diabetes patients. If you are having complications or difficulty managing your diabetes. In addition, you should see a specialist if you are having frequent low blood sugars (hypoglycemia) or have ever had drastic low blood sugar or diabetic ketoacidosis. Conventional treatment does not work. Endocrinologists and diabetes care teams use a wide range of treatments to help you with difficult-to-control diabetes. You want to know about the latest research or treatment options. You take three or more injections a day or use an insulin pump. Double board-certified in Internal Medicine and Endocrinology, Diabetes and Metabolism by the American Board of Internal Medicine, Dr. Zamanian uses her experience in internal medicine to provide the best possible treatment and care for Diabetes. before your first appointment. If you are unable to print the form, please arrive 20 minutes early to your appointment to complete the form in the office. Thank you! At Endocrinology and Diabetes Specialist, we specialize in the evaluation and treatment of diseases caused by endocrine gland dysfunction. By producing, storing and secreting hormones, the endocrine system is responsible for many important functions of our bodies, especially as related to growth, metabolism and sexual development and well-­-being. Dr. Zamanian is currently taking appointments up to 10 weeks in advance! Please give us a call today to inquire. We accept most insurance plans and Medicare. Very blessed to have Dr. Zamanian as my endocrinologist. She listens, she cares, she understands and she's extremely knowledgeable. Dr. Zamanian took the needed time with me to discuss my ongoing care and game plan to address my diabetes. I am grateful for this and appreciate her and her staff. She is very concerned for all of her patients and gives her all. Dr. Zamanian was both professional and compassionate. She answered all my questions and clearly stated her plan for my medical treatment. "Very blessed to have Dr. Zamanian as my endocrinologist. She listens, she cares, she understands and she's extremely knowledgeable." "I was delighted with my referral to Dr. Zamanian, who addressed my concerns in a thorough manner and clarified what I will need to do." "I always look forward to my visits with Dr. Zamanian, she always gives me helpful hints on how to better myself." "Dr. Zamanian is very knowledgeable and very systematic and logical in her approach. She is also friendly and communicates issues and answers questions well." "Dr. Zamanian was both professional and compassionate. She answered all my questions and clearly stated her plan for my medical treatment."